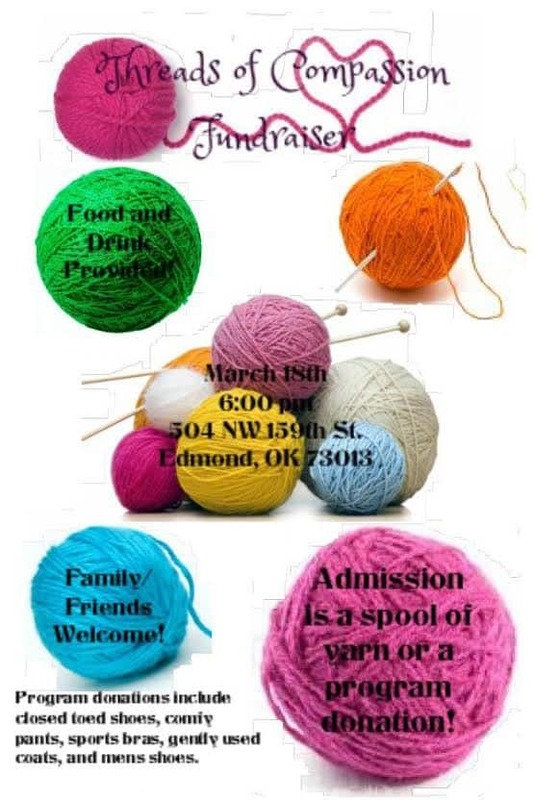 We are excited to announce that the YWCA has planned a yarn party for us! This is an opportunity to visit with others who care about the work we are doing together, enjoy some yummy food, and gather up yarn for us to use to make more scarves. Everyone is welcome to come Tuesday night, March 18th. Details are in the photo and on our Facebook event page. If you’d like to donate some yarn and are wondering what kind is best to give, we do have a favorite. It’s called “I Love this Yarn” and is available at Hobby Lobby for $3.99. There is almost always a coupon available online at Hobby Lobby and available on their app that you can use to get 40% off. Other brands are great as well, but for several of us this one is our favorite to use for the scarves.